After years of waiting, in early 2007 they launched their first Self titled metal melodic core album called Scared of Bums. Scared of Bums defines their music as an oxygen that always bring life to them and without music, they'll feel only emptiness in this world. Since they picked up their guitar up and create a punk-metal-melodic core, they want to wake up the other genre music in Bali especialy Metal one and show their existence. 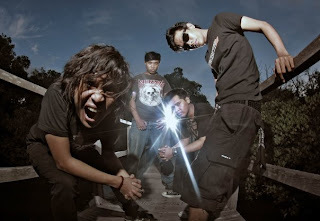 They declared their enthusiasm to punk-metal-melodic core genre and promise to focus on this genre, Their songs, such as "Takut", "Jahanam", "Impian", and their top hits "No Place Like Home and Boring" shown their awareness to social life and daily living.